'This is Chrome OS's year,' people say optimistically as they think for the gazillionth time about buying a Chromebook. Hell, I'm one of those people. Will it be 2017? Maybe. With the upcoming release of Samsung's new Chromebook Plus and Pro, and the wider release of Android apps on the Chrome OS stable channel, it's definitely possible. Now, more exciting news has come our way from Chrome Unboxed, in that Android 7.1 is being actively developed and tested for Chrome OS. What does this actually mean? Basically, it means that the apps running on Chrome OS will gain features Android 7.1 has. Most notably, this means freeform mode and window resizing. 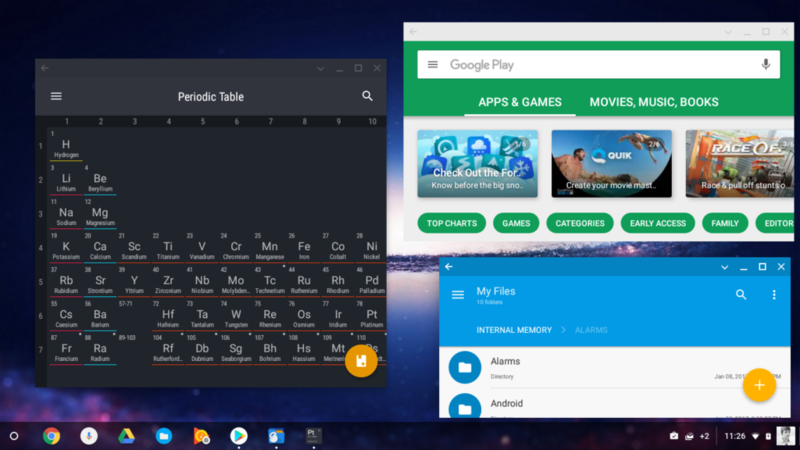 Chrome Unboxed says a reader sent in a screenshot of his Lenovo Chromebook running the Canary channel of Chrome OS, the very experimental release that is almost certain to have a great many number of bugs. This doesn't appear to be available on other Chromebooks running the Canary channel, however - I can confirm this with my own Acer Chromebook 11 (which doesn't have Android app support yet anyway). The user in question says that there are bugs relating to window resizing and the like, which is not at all surprising given it's in active development and is on the Canary channel. Left: Resized apps on Chrome OS. 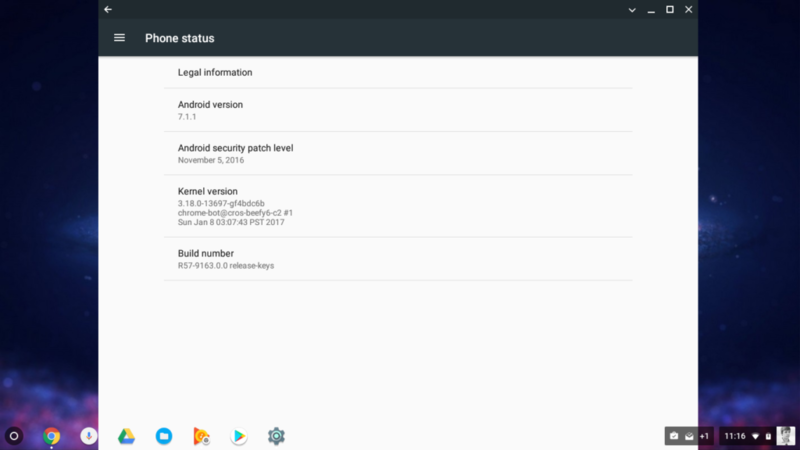 Right: the about screen, clearly showing Android 7.1. There's no telling when this will be available, but Chrome Unboxed thinks Chrome OS 56 might be a good bet. We'll see. 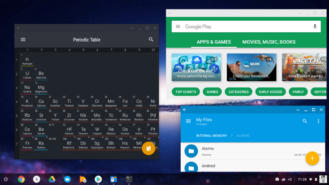 In the mean time, Android apps are currently available on the stable channel for the Acer R11, ASUS Flip, Google Chromebook Pixel 2, the beta channel for the Acer R13, and the dev channel for the HP 11 G5, Lenovo ThinkPad 13, and the Samsung Chromebook 3.